Nintendo Wii Game published 9 years ago by Hudson Soft. 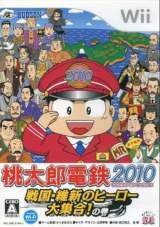 Momotarou Densetsu 2010 - Sengoku Ishin no Hiou dai Shuugou! No Maki © 2010 Hudson Soft. Released on January 20, 2011 in Japan.